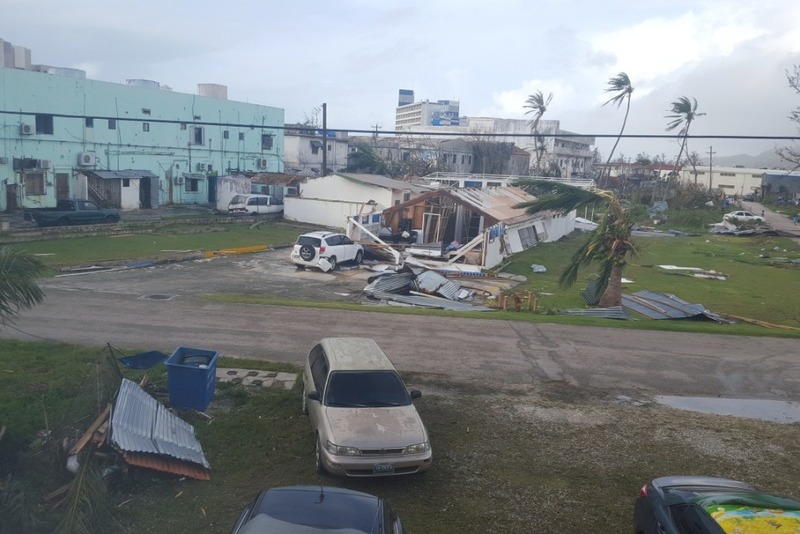 Super Typhoon Yutu hit the Northern Mariana islands of Saipan and Tinian on October 25, 2018. With winds of over 180 miles per hour, there was tremendous devastation that has left hundreds of men women and children homeless. However, beyond the homelessness, there is also a unique loss that many are experiencing--and that is the loss of a hopeful future. "We cannot chase him away. Where will he go?" I approached the worker dutifully stocking the shelves in the produce department of Joeten Supermarket. His name is Randy Vicente. Originally from Cavite, Philippines, Randy has had only this one employer in his twenty-five years on the island. 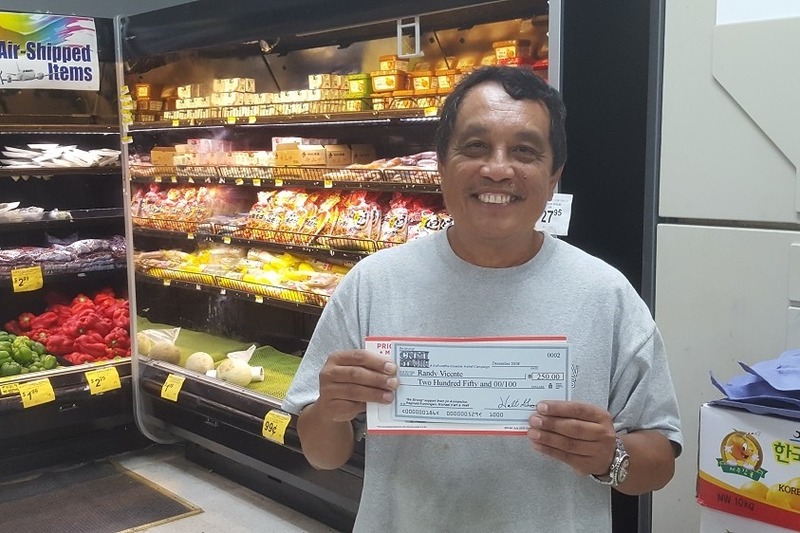 And, in all the years I've lived on Saipan and shopped there, Randy has always been quite friendly, always offering a bubbly "Good morning, Mr. Walt!" offering information on upcoming sales, asking if there was anything he could help with, and making this mundane experience quite pleasant. Today was no different in that regard. However, I could tell something was different. The area around his eyes had the telltale darkness and showed the strain of someone who hadn't slept in days. "So, what's your situation?" I asked him. "Oh, me? I'm homeless!" he replied, and despite the direness of what he had just said, he delivered it with the same bubbliness and smile as if he were greeting me on a normal day. "My roof is gone, and my apartment is destroyed," he added. "So..So, where are you staying?" "Nowhere," he replied. "For the past four nights, I've been sleeping in the front lobby of World Resort." "Did you try sleeping in a shelter?" I suggested. "What about your stuff?" I asked. "You mean in the apartment?" During the storm, as Yutu's Category Five winds increased in intensity, Randy realized his apartment would likely not withstand the pounding and so he sought refuge and rode out the storm in the Nauru Building close by. He returned to find his room destroyed. It saddened me to realize that here he was showing up for work for his 6am to 1pm shift, as he'd done for 25 years, spending precious daylight hours unloading boxes, stocking shelves and helping customers, while his own personal belongings were sitting in a roofless single room with only three and a half walls exposed to the elements, and with nowhere to return to shower and get a good night's sleep. I thought about the indignity and mental strain of sitting in a hotel lobby hour after hour, night after night, while hotel staff and security guards passed by knowing you weren't a guest. With no tourists arriving these days, many of the hotels are offering a local rate of about $70-$80/night. It's a small thing, but I'd like to provide Randy--and anyone among the hundreds who are living in tents or in their cars-- a few nights in a hotel to regain some semblance of normalcy and dignity, and to replace some of their damaged, water-soaked belongings. Electricity, running hot and cold water, a bathtub, a clean, soft bed, the privacy of a toilet--one that flushes and is not shared by dozens of other individuals--these are a few of the "luxuries" you take for granted, that would make a world of difference for victims of Typhoon Yutu three weeks after the storm, even if it's only for two nights. Your donations will offer such a gift to Randy, and others, to encourage them to stay strong....CNMI strong. As usual, I'll film the disbursements so you can see how your contributions are actually impacting real people's lives. I was inspired to launch this particular campaign after a brief two minute meeting with Manny. Manny is from the Philippines, and came to work on Saipan. He started a mechanic shop, raised children, leased land, secured tenants and invested his life's time, energy and money over several decades to prepare a future for himself and his family. Overnight, those dreams were dashed. 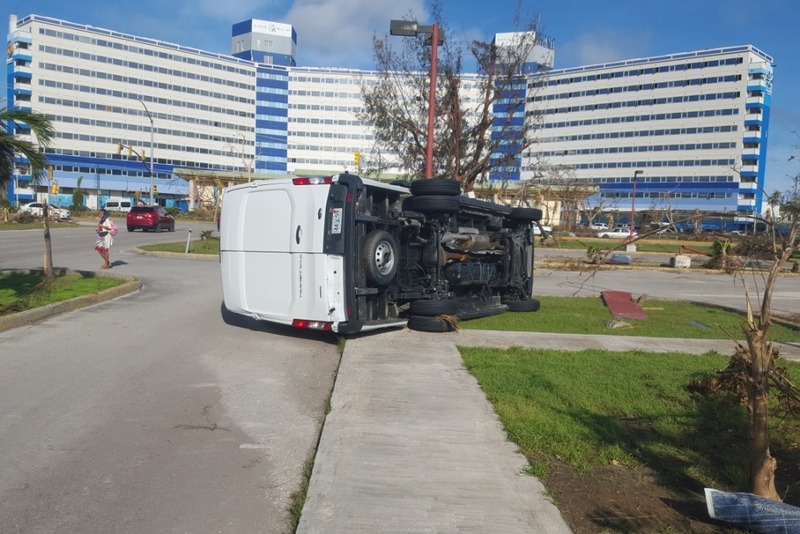 I was walking on the debris strewn streets of Saipan the morning after the typhoon, and someone honked a horn to get my attention. Manny pulled up, joked that I made it back from a recent trip just in time for the typhoon. Then, with tears in his eyes, he commented, "Do you know what the percentage (loss) on Tinian is?" he asked. "Ten out of ten. I lost everything...all my retirement. I'm not sure what I'm going to do now." "Did you apply for FEMA assistance?" I asked. "No, last time they weren't able to help me," he replied. "I didn't meet the criteria." "Well, try again," I suggested. "Last time, Soudelor was a Category 4, and this time, Yutu is a Category 5. It's possible, that some of the criteria may be different given the level of destruction." "I hadn't thought of that," he replied. "I think that's why the Lord sent me down this street to run into you." Another vehicle was approaching behind Manny on the narrow street, so we bid our goodbyes and he drove off. Thirty years of hard work. Gone. I walked away from the encounter thinking that there must be something I or others could do for people like Manny. FEMA may provide temporary assistance and replace automobiles. Red Cross may provide water, canned goods and other needed items, but people like Manny come away from the experience and are still not made whole. Manny was one of the first people I met when I relocated to Saipan in 2006. He helped me assess my Corolla, gave it his stamp of approval, and I've recommended him to others who needed the same assistance. He's one of the most humble, most generous, sweetest folks among an island of great people in great need. I was fortunate. My building sustained minor damage and I'm still able to live there. However, there are also other folks I've run into over the past 6 days--people like Helen, the grounds keeper, or Randy who stocks the produce in Joeten Supermarket--who are showing up to work every morning despite being homeless. Everyone's pain and loss are important. However, my plan through this particular campaign is to feature certain individuals like them (through updates), tell their stories, and give YOU the chance to help them so you can put a face and a circumstance to your donation. When I do offer the recipients your token of support, I'll film it, tell them who it's from (you can also remain anonymous) and post it online and send you a link. You can donate any amount now, and once I start telling individual stories, you can email me through the site or directly and let me know whom you'd like to help or with any other special requests. If you've taken my Saipan in a Day or WWII Pilgrimage/Amelia Earhart tour of Saipan or my Enola Gay/Hiroshima tour of Tinian over the years, you know I have a great love for this little island community that has provided me so much joy and allowed me the chance to live out my own dreams. This is my effort to help others keep THEIR dreams of a better life alive! - to fund a few nights in a hotel for shower and a good night's sleep. My original plan was to use the contributed funds to get gift certificates for two nights at a hotel so Randy and others in his situation might enjoy a semblance of "normal" living. However, now that incoming airline flights have resumed, the hotels here on Saipan are booked solid. Therefore, I gave Randy the option of a certificate for future use, or cash. So, today, thanks to your generous contributions I was able to give him a gift of $250! Here's a quick video of him receiving it and his thanks to those who contributed! Shows you don't have to be a megacorporation or millionaire philanthropist to help others. There are still hundreds more we can help with contributions of any size to encourage them to stay strong….CNMI strong. One of the donors made a great suggestion to help folks like Randy: She wants to donate her Hyatt reward points that are going to waste to book a room for a typhoon survivor for a few nights so they can live normally for a little while. 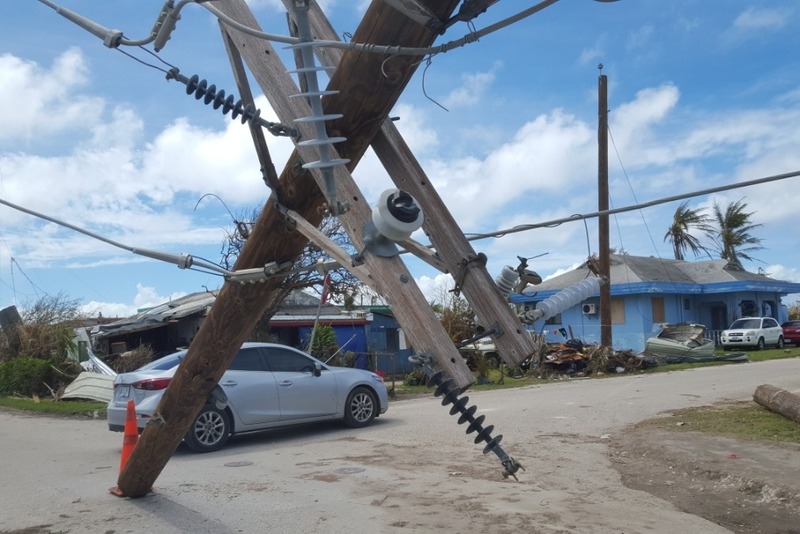 There's still no water or electricity in most of the island. I called Hyatt and from what I just learned, it would require 8,000 points/night for a standard room at the Hyatt. PROCESS: To make it easy, a donor could transfer the points to me--WALT GOODRIDGE; (send a private message and I'll send you an email address)--and then I would make the reservations online at hyatt.com for the recipient here on Saipan. You can go to hyattgiftcard.com and buy a CHECK CERTIFICATE in the recipient's name and my email (send me a private message). I didn't see a way to pay with points, but if you're signed in to your Hyatt account, that option may be visible. I'm open to any other suggestions! I approached the worker dutifully stocking the shelves in the produce department of Joeten Supermarket. His name is Randy Vicente. Originally from Cavite, Philippines, Randy has had only this one employer in his twenty-five years on the island. And, in all the years I've lived on Saipan and shopped there, Randy has always been quite friendly, always offering a bubbly "Good morning, Mr. Walt!" offering information on upcoming sales, asking if there was anything he could help with, and making this mundane experience quite pleasant. Today was no different in that regard. However, I could tell something was different. 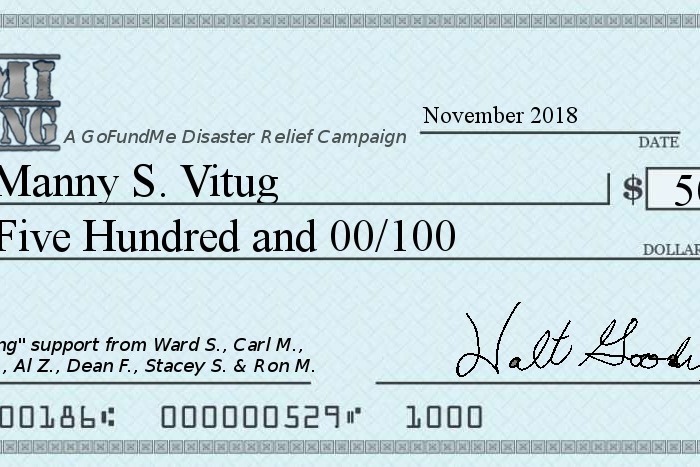 Image of symbolic cheque Manny received.